This is Part 2 of a 47-part series of weekly blog posts looking at curries from each of Japan’s 47 prefectures. 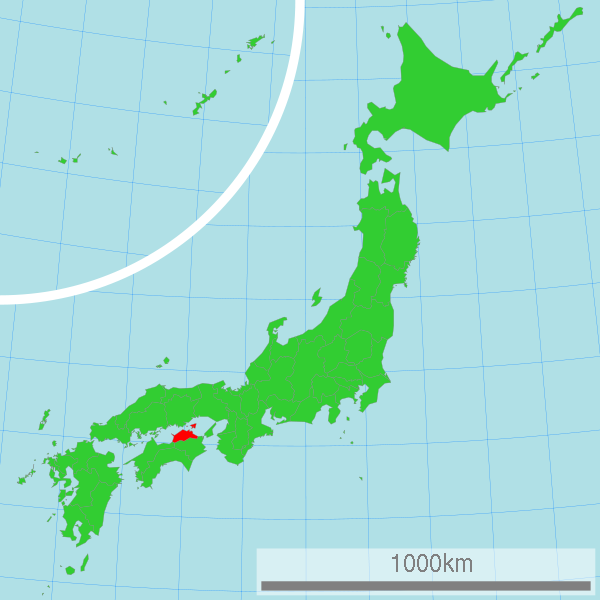 Kagawa is the smallest of Japan’s 47 prefectures. It has a total land area of about 1,870 square kilometers, making it about half the size of Long Island, New York. Most of Kagawa occupies the northeastern corner of Shikoku, but much of it is scattered across more than a dozen islands in the Seto Inland Sea. The 13-kilometer Seto Ohashi bridge hopscotches across a couple of the smaller islands to connect Kagawa with Okayama Prefecture, on the main island of Honshu. The largest of Kagawa’s islands is Shodoshima, which boasts two major products: soy sauce and olives. 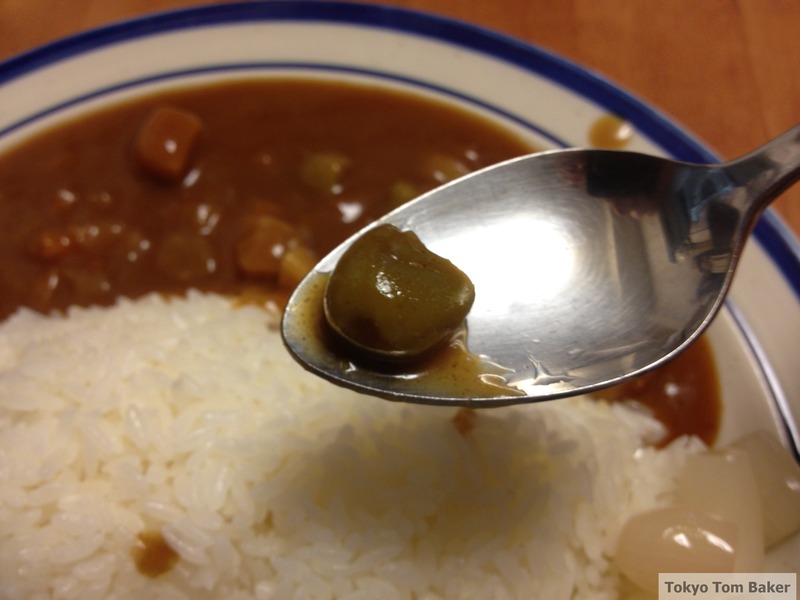 Lots of places in Japan are proud of their local soy sauce, but olives are unusual. In 1908, this island became the first place in Japan to successfully cultivate them. The prefecture even has a local professional baseball team called the Kagawa Olive Guyners. 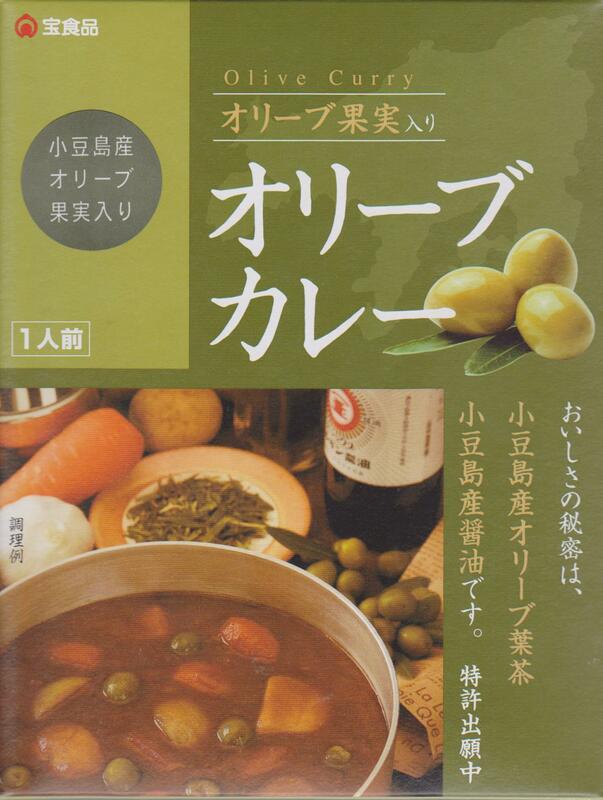 Ingredients in the olive curry I’ve picked to represent Kagawa include olives, olive oil, and olive leaf tea. There’s some Shodoshima soy sauce in there, too. The olives are green (and pitted) and taste like they were cooked fresh rather than first being pickled. You have to be looking for the olive flavor in order to appreciate it, though, because the dominant flavor is the peppery taste of the thin sauce. The ingredients list a mysterious “seasoning powder” several places ahead of “curry powder,” which may explain why this curry tastes more like pepper stew. In addition to olives, the solid ingredients are the usual onions, potatoes and carrots. I purchased a single-serving package of this curry for 530 yen at Japan Food Market, a temporary-looking shop in the Koshigaya Laketown Mall in Saitama Prefecture. This entry was posted on May 24, 2013 at 11:14 pm and is filed under Curry, Food, History. You can follow any responses to this entry through the RSS 2.0 feed. You can leave a response, or trackback from your own site.